Kyrgyzstan invites bids by 14 December to rehabilitate the Toktogul hydro scheme. Kyrgyzstan’s state power producer Electric Power Plants (EPP) invites bids by 14 December for the rehabilitation of the gate and hydraulic steel structure of the 1200 MW Toktogul hydropower scheme on the river Naryn in the western province of Jalal-Abad. Bids are sought for design, supply, installation, pre-commissioning and commissioning services to be carried out on a turnkey basis and to be completed by November 2023. It is the second tender issued for the rehabilitation of the gate and hydraulic steel structure. EPP previously sought bids last September (see H&D Issue 4, 2017). Financing has been received from the Asian Development Bank (ADB) and the Eurasian Development Bank (EDB) toward the cost of the contract under the Toktogul Rehabilitation Phase 2 Project. International competitive bidding will be conducted in accordance with ADB’s ‘Single Stage, One-Envelope’ bidding procedure and is open to all bidders without nationality restrictions. Bidders should have participated in at least two contracts that have been successfully or substantially completed within the past five years and that are similar to the proposed contract, where the value of the bidder’s participation for each of the contracts exceeds US$ 9.6 million. Interested bidders should refer to the tender document for complete eligibility and qualification requirements. Bidding documents in English for Package No. 1: Toktogul Gate and Hydraulic Steel Structure Rehabilitation (Design, Supply, Installation, Pre-commissioning and Commissioning Works and Services) are available upon written request to the address below and payment of a non-refundable fee of US$ 200. For further information and to inspect the tender documents, contact: Isak Khudayberdiev, Head of PIU of Rehabilitation of Toktogul HPP, Electric Power Plants, 326 Jibek Jolu Avenue (office 422), 720070 Bishkek, Kyrgyz Republic; Tel/Fax: +996 312 66 20 54; +996 312 62 17 03; Email: piu2@es.kg. Afghanistan's National Procurement Authority, on behalf of the Ministry of Energy and Water, invites expressions of interest by 21 April from consulting firms to carry out an Environmental and Social Impact Assessment (ESIA) and Resettlement Action Plan (RAP) for the second phase of the Kajaki Dam. The Vanuatu Project Management Unit (VPMU), on behalf of the Ministry of Finance and Economic Management of the Pacific island state of Vanuatu, invites sealed bids by 31 May from engineering, procurement and construction (EPC) contractors for the development of the 422 kW Brenwe hydropower plant on the island of Malekula, the second largest island of the archipelago. WAPDA invites bids by 20 May for civil works and electro-mechanical upgrading at the Warsak project in Pakistan. Expressions of interest are sought by 26 November for consultants to undertake a carbon credit study. The Lower Songwe dam and hydro project, is to be developed as a public private partnership. Advisory services are sought for structuring and negotiation of the scheme. Aqua~Media International Ltd is the publisher of The International Journal on Hydropower and Dams, and the organizer of the HYDRO, ASIA and AFRICA event series. © 2019 Aqua~Media International Ltd.
Website by The Pixel Parlour. 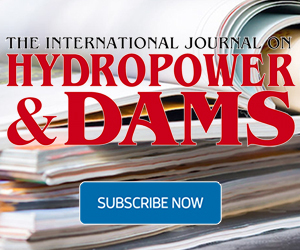 The bi-monthly International Journal on Hydropower & Dams features research papers, case studies, project updates, business and financial news, and policy papers aiming to help advance the state-of-the-art of dam engineering and hydropower development. 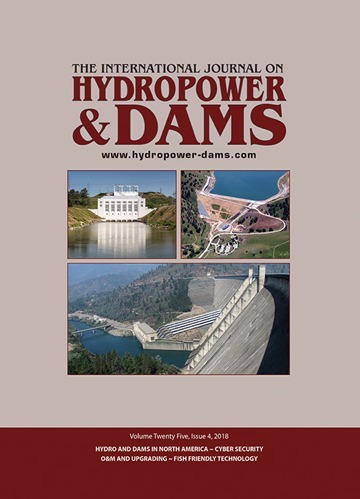 Energy data from more than 180 countries and guide to companies and organizations active in hydro and dams. Technical maps and posters highlighting key hydro and dam projects worldwide. Books, CDs and USBs of papers from the HYDRO, ASIA and AFRICA series of events. Our programme of international events bring together experts from across the industry to explore the latest technical innovations, financial and operational challenges and new development opportunities.